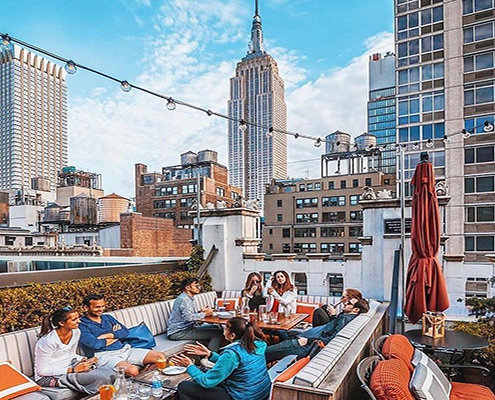 The Refinery Rooftop dazzles guests with exposed brick, twinkle lights, and exquisite views – especially of the close-up Empire State Building. Not only is the food delicious, the drinks (and crowd) are ideal for after-work socializing. 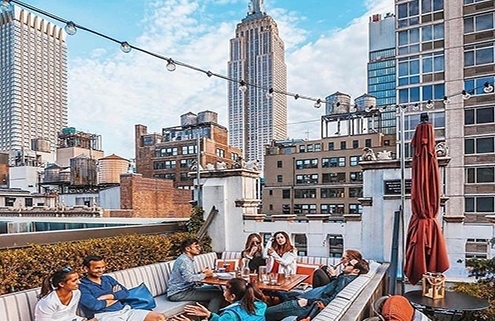 Refinery Rooftop, 63 W 38th St.